I made Beef Teriyaki for dinner tonight and remembered I made this same recipe a while back with pork, took photos, and never posted it. So, the time has come. It’s a super-simple recipe that takes maybe half an hour to prepare (including the time it takes to make the rice in our rice cooker). I add snow peas (and sometimes red onion) to make it a full-on stir fry. 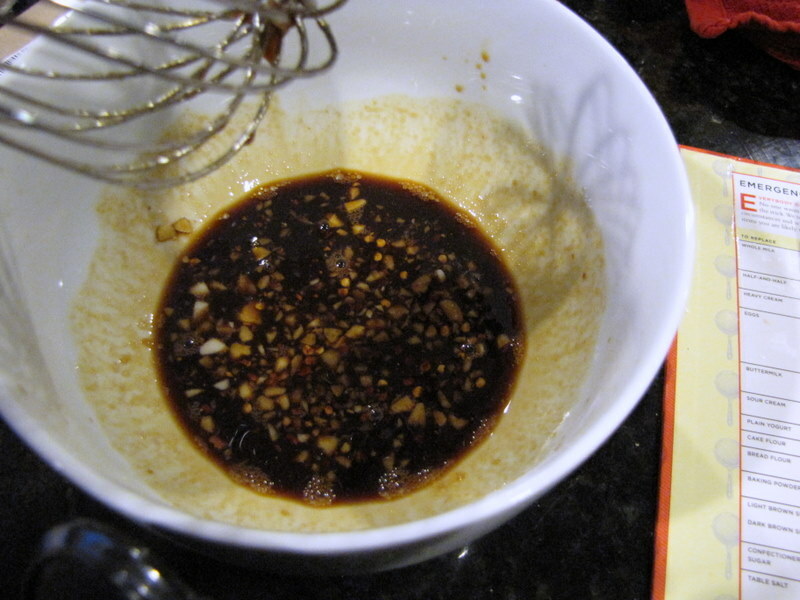 Whisk the soy sauce, sugar, mirin, ginger, garlic, cornstarch, and red pepper flakes together and set aside. Pat the meat dry with paper towels and season it with pepper. 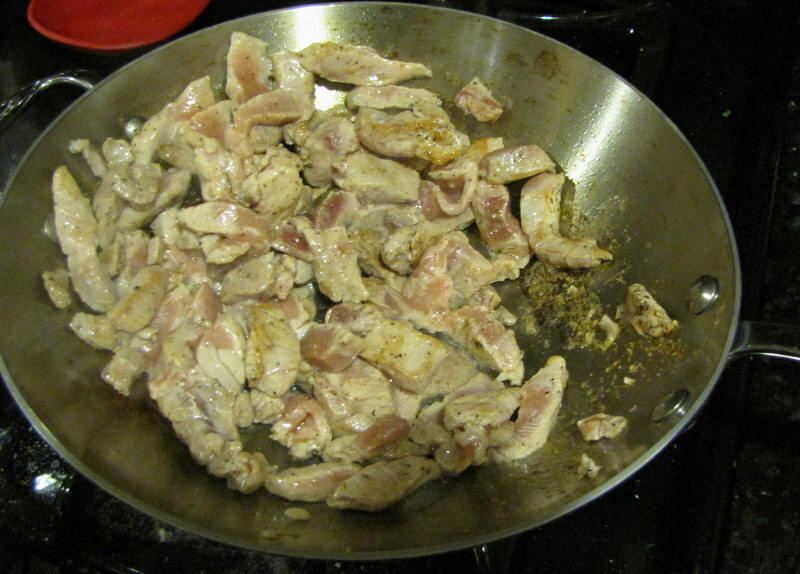 Heat 1 Tbsp of the oil in a 12″ nonstick skillet (I use a wok) over medium-high heat until just smoking. Brown half the meat, about 5 minutes, then transfer to a clean bowl. Repeat with other tablespoon of oil and remaining meat. 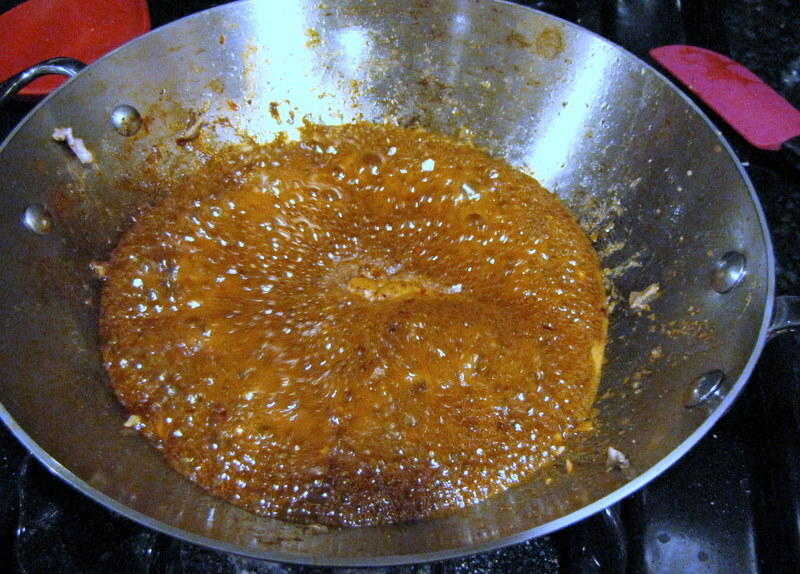 Briefly re-whisk the teriyaki sauce, then add it to the skillet. Scrape up brown bits and simmer until thickened, about 2 minutes. 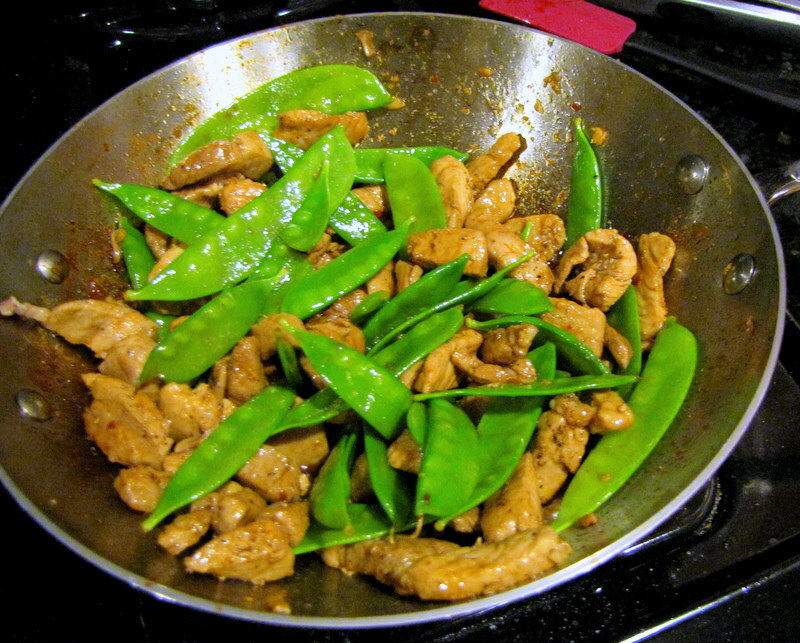 If you’re using snow peas, add them to the sauce and toss for about 30 seconds. They will turn bright green, even through the teriyaki sauce. Then add the meat and any accumulated juices back into the saucy pea pot. Toss everything to coat. Serve over jasmine rice, and sprinkle with sesame seeds and scallions.